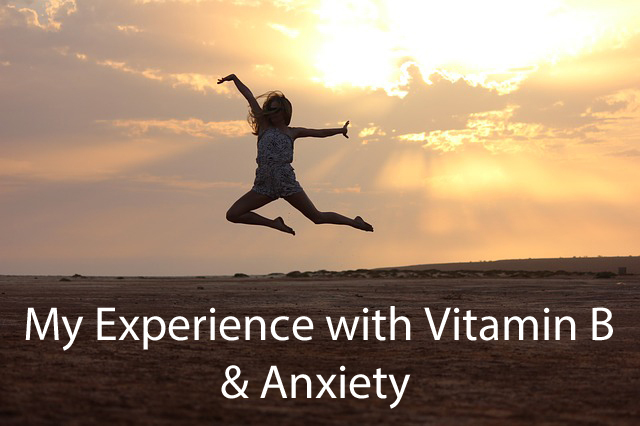 My Experience with Vitamin B and Anxiety - Reclusive Fox ""
A couple of months back our local doctor pointed my boyfriend in the direction of No More Panic. It’s a website that is full of information for people experiencing problems with panic attacks, anxiety, OCD, depression and there’s also an area dedicated to self-esteem. I headed straight on over to see what advice they provided for people who deal with panic attacks and anxiety and I was interested to discover that Vitamin B was a suggested natural remedy. Before we go any further I do want to point out that on a return visit the Doctor did say that she had never heard of Vitamin B used to combat problems with anxiety. Please go and speak to your doctor if you are considering trying them. Remember I am not a professional I’m merely sharing my own experiences with you. My energy levels increased quite dramatically. The condition of my skin has improved. My pee did turn a brighter yellow – sorry for the detail here but it does warn you that this can happen and it’s nothing to be alarmed out. I had one panic attack, I was able to ride it out. I have dealt with trips in the outside world far easier than I have for a long time. Here’s what the NHS has to say about B vitamins. I stopped taking the Vitamin B complex last week as I ran out and I can tell you that towards the end of this week I have been feeling tired once more. I had a nap on Saturday night, it wasn’t really a nap as such as I slept from about 6pm to 12am! I also had a nap on Sunday from about 5pm to 7pm. I have put this tiredness down to stopping the vitamin complex as nothing else has changed. I could be wrong of course. I don’t know what’s helped me along this month. I’ve been using the Vitamin B complex, I’ve introduced the use of Lavender essential oils and I’ve been blogging frequently, all three I feel are beneficial to my positive month. I’ve been out more in the past four weeks than I have in the past year so something is obviously making a difference. Have you had experiences with Vitamin B or have any thoughts about taking vitamin supplements? I’d love to hear from you. This is really interesting, thanks for sharing,. I have really bad anxiety so will try this! Vitamin B is very important for a healthy and active life. My researches has shown that vitamin B is helpful is relieving the stress and curing the depression. An informative article everyone should read.